Hats off to Nike on this one! 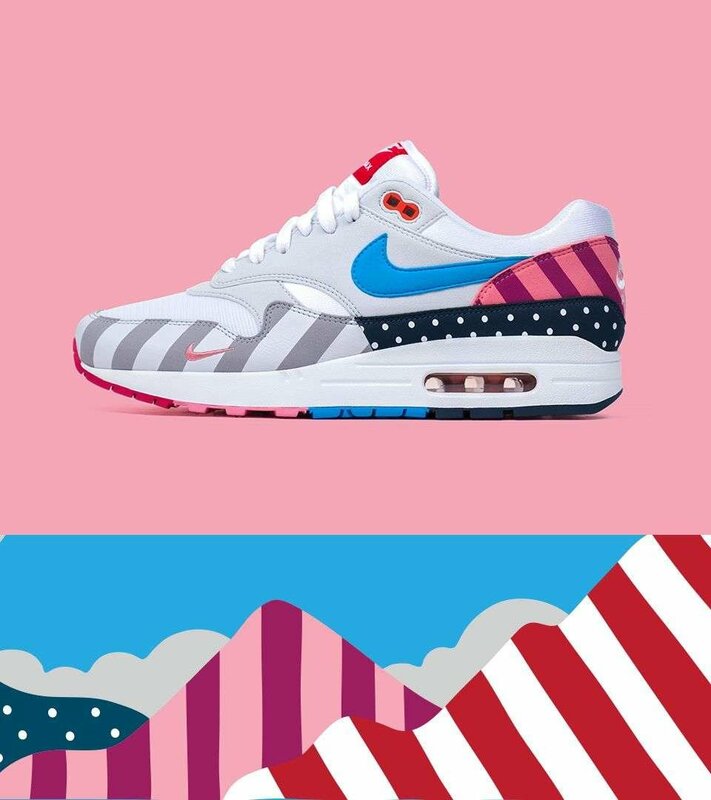 Nike have really allowed the graphical talents of 'Parra' shine through as they have given him full creative control of this project. Rarely do we see this happen outside of the Air Max Day celebration and it really goes to show that Nike continue to lead the market. The tonal colour pallette of pink, grey and blue works in harmony as does the geometry of the patterning. We like love the mini swoosh on the left foot and the parra signature on the right. Again, fantastic levels of detailing. Could these be the best release of 2018?